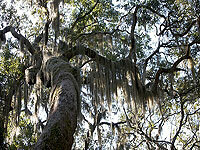 This park protects over 200 acres of unspoiled wildernesss along the southern tip of Amelia Island. Beautiful beaches, salt marshes, and coastal maritime forests provide visitors with a glimpse of the original Florida. Amelia Island State Park is one of the few locations on the east coast that offers horseback riding on the beach and riding tours along the shoreline. 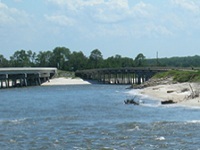 Fishermen can surf fish along the shoreline or they can wet their line from the mile-long George Crady Bridge Fishing Pier, which spans Nassau Sound and connects with Amelia Island State Park. 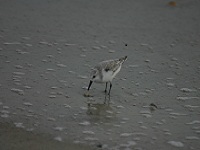 Visitors can also stroll along the beach, swim in the surf, look for shells or watch the wildlife. Naturalists and all who visit Betz Tiger Point Preserve are invited to explore the preserve's splendid natural landscapes. Surrounded by broad expanses of saltwater marsh, Betz Tiger Point is awe-inspiring. Stunning scenic views as well as abundant wildlife; diversity of birdlife, gopher tortoise, dolphin, and reptiles can be seen in this natural setting. Breathtaking opportunities include nature and wildlife observation, walking, and horseback riding. With its adjoining neighbor-Pumpkin Hill State Buffer Preserve, visitors can enjoy miles of natural trails for equestrian use, kayak/canoe areas, and ample fishing. The park is closed through the end of October, 2010, while the City finishes adding new amenities including trails, a picnic pavilion, and a scenic overlook. Big Talbot Island State Park is a nature preserve located on one of Florida’s unique sea islands. 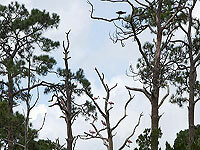 It is a premier location for nature study, fishing, bird-watching and photography. 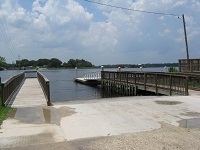 A boat ramp is located on the north end of the island, and kayak rentals and guided tours are available through Kayak Amelia. Visit The Bluffs and enjoy a picnic at one of the pavilions overlooking the water or take a quick stroll down the trail to Boneyard Beach. 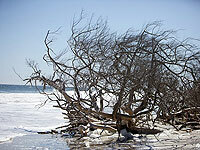 The unique beach is famous for the salt washed skeletons of live oak and cedar trees that once grew near the shore. 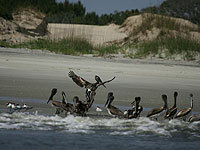 Cedar Point is located on Black Hammock Island, a barrier island within an intricate salt marsh ecosystem. Cedar Point provides habitat for wildlife, including many wintering and migratory birds. Native Americans feasted here, colonists built a fort, and the Smart Set of the 1920s came for vacations. A site of human occupation for over 5,000 years, Fort George Island was named for a 1736 fort built to defend the southern flank of Georgia when it was a colony. Today´s visitors come for boating, fishing, off-road bicycling, and hiking. A key attraction is the recently restored Ribault Clubhouse. Once an exclusive resort, it is now a visitor center with meeting space available for special functions. Behind the club, small boats, canoes, and kayaks can be launched on the tidal waters. In addition, visitors can explore the historic Kingsley Plantation, which operated from 1763 to 1865. The grounds include the slave quarters, kitchen house, barn, garden, and plantation house. Admission to the Plantation is free and the Plantation is open seven days a week, from 9AM to 5PM. Florida State Parks one-mile, pedestrian-only fishing bride spans Nassau Sound and provides access to one of the best fishing areas in Florida. A boat ramp is available. 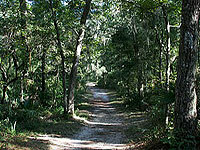 Access the park through Amelia Island State Park. Helen Cooper Floyd Park is located on a peninsula west of Naval Station Mayport, at the convergence of the Intracoastal Waterway and the St. Johns River. 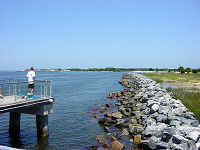 Formerly known as the Little Jetties, this park’s dock provides a premier location for fishing. Huguenot Memorial Park is one oceanfront park that offers visitors a lot more than sand,surf and sea. It also displays an array of natural wonders, from great birding opportunities to amazing views of some of North Florida's remaining natural areas. 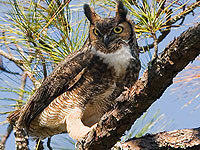 Huguenot Park is designated as a Great Florida Birding Trail site by the Florida Fish and Wildlife Conservation Commission because of its abundance of various kinds of birds, as well as its marvelous habitat. Kayaks and canoes can be launched from just about any shoreline in the Park. With more than five miles of beautiful, white sandy beaches, Little Talbot Island is one of the few remaining undeveloped barrier islands in Northeast Florida. 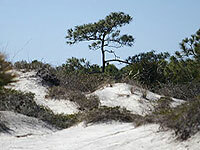 Maritime forests, desert-like dunes and undisturbed salt marshes on the western side of the island allow for hours of nature study and relaxation. The diverse habitats in the park host a wealth of wildlife for viewing including river otters, marsh rabbits, bobcats and a variety of native and migratory birds. Surrounding surf and tidal streams present excellent fishing for bluefish, striped bass, redfish, flounder, mullet and sheepshead. Other popular park activities include hiking, kayaking, beachcombing, surfing and picnicking. Beachside picnic pavilions are available for use by park visitors and can be reserved in advance for a fee. A full-facility campground is located along the eastern salt marshes of Myrtle Creek. Kayak rentals, guided paddle tours and Segway tours are available. Boaters, kayakers and all other water enthusiasts will enjoy Palms Fish Camp's opportunities for water access. The camp has a boat ramp, floating dock and kayak/canoe launch. From the shoreline, visitors have a nice view of the marsh lands and some possible manatee sightings. Ample trailer parking is available. East of Jacksonville's skyscrapers and west of the beaches, this state park protects one of the largest contiguous areas of coastal uplands remaining in Duval County. The uplands protect the water quality of the Nassau and St. Johns rivers, ensuring the survival of aquatic plants and animals, and providing an important refuge for birds. Wildlife is abundant and ranges from the threatened American alligator to the endangered wood stork. Equestrians, hikers, and off-road bicyclists can explore five miles of multi-use trails that wind through the park's many different natural communities. The park has a canoe/kayak launch accessible by a 500 foot portage to the marshes. Located off I-95 or 9A, head east on Heckscher Drive. Turn north on New Berlin Road, then east on Cedar Point Drive. Turn north on Pumpkin Hill Road. Trailhead parking is approximately one mile on the left.